This color-safe formula does more than just brighten colors and whites! Natural fabric and water conditioners, grapefruit seed extract, and special detergent boosters fight stains, mildew and corrosion. Also great for many household stains, including carpet stains. CONTAINS NO: Phosphate, chlorine, ammonia, petroleum solvents, butyl, glycol ether, SLES, EDTA, DEA. or EPA priority pollutants. Contains No materials listed by the ACGIH as hazardous. Works amazing on my husband's black work shirts and my white bath towels! I'm allergic to regular bleach and soaps with perfumes. It gave the clothes a fresh clean smell, not a covered up smell. It pairs well with my eco-friendly laundry soap. I love love love this product. I have tried so many bleaches and this is the only one I found that really cleans and I don't have to worry about chemicals and the harm they do. My husband gets his work clothes so dirty and this helps to clean and brighten his dingy work clothes. So glad I found this stuff and don't have to use Clorox any more. it ruined a lot of clothes for me already :( and now I have my new go to. Thanks for caring for the earth but yet make so it works great. Its an amazing product. At Biokleen, we’ve built our legacy on highly effective cleaning products that don’t use—and don’t need—toxic chemicals. 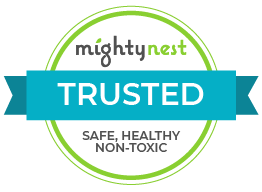 Initially founded to make plant-based, non-caustic cleaners for professional services and janitors, we bring those same powerful formulas to families and homes across America today. As part of that commitment, all Biokleen products are free of phosphates, chlorine, ammonia, petroleum solvents, alcohol, butyl, glycol ether, brighteners, artificial colors, artificial fragrance. We believe that a house free of toxins is a home full of love.